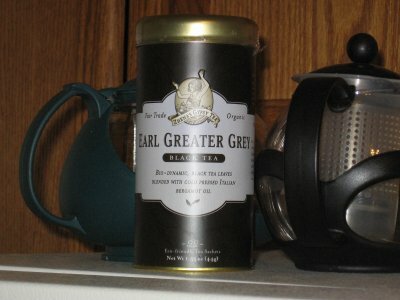 Mike: Zhena’s Gypsy Tea’s Earl Grey, as always, comes in a package with the ultimate in marketing-speak. As a marketing professional, I know how to pad informational materials with a plethora of unnecessary information worded with sentences so long and words so big that your head will explode. Mike: Zhena’s Pomegranate Rose Green Tea is a fruity decaf tea with a nice blend of berry and rose simplicity and green tea nuances. 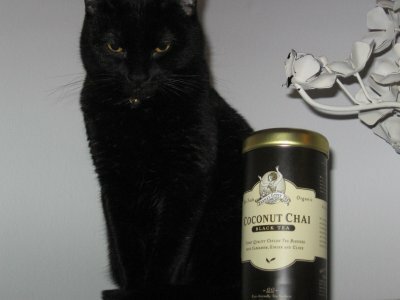 You see, I just got back from Costa Rica where I was drinking mainly coffee so my taste buds are a little rusty. 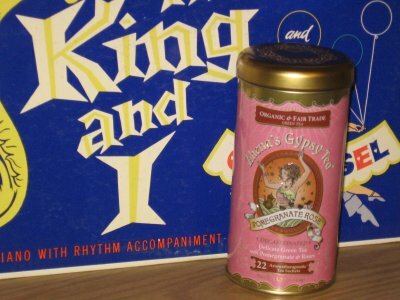 Mike: I’ve never tried any brews from Zhena’s Gypsy Tea, but I am definitely looking forward to the next one. 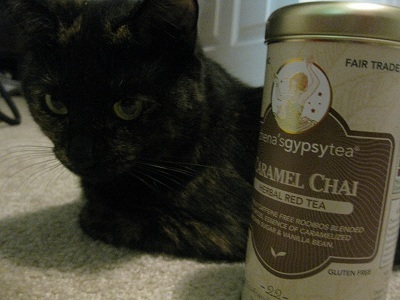 This organic chai tea has some of the fanciest packaging I have ever seen, matched only by the quantity of BS marketing, much more than other tea brands.